There is no shortage of activities to get involved in here in Applecross. The most popular seems to be eating and drinking. But, fishing either from the sandy beach or pier or from any of the many lochs on the surrounding hill side is available for free. The coast is perfect for sea canoeing and kayaking, with many places to embark and disembark, it should be easy from where ever you're staying. Applecross has a maze of low level walks where you can bird & wildlife watch, the walks vary in length and suitability for all ages and abilities. And with more paths being constructed all the time, the Applecross peninsular is one of the most accessible areas of the North West Highlands. The high level walks are accessible when not snow covered and if your stamina is up to it you will be rewarded by some of the most stunning views around. Wind surfing, Power kite surfing and dingy sailing are becoming more popular as each year goes by, although you will have to bring along your own equipment. Applecross bay is perfect for swimming if you're brave, if not paddling in the sandy shallow bay will keep the kids happy for hours. The miles of rugged coastline and beaches are perfect for Bouldering and Beach Combing. 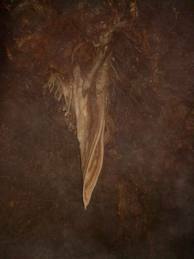 You can explore the caves and isolated coves, collect shells or just take in the scenery. Applecross has two large bike races each year more than 500 cyclists attempt the journey over the Bealach road, don't worry if you bring your bike you'll not be expected to compete, but there are plenty of mountain tracks where you'll be able to test your stamina and nerve. 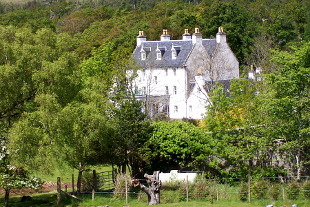 Applecross is the ultimate adventure play ground for kids and big kids alike. Imagine gliding smoothly through the water with the most spectacular views of the Cullins of Skye and Raasay, this is what you can experience and a lot more beside when you take a canoeing or kayaking holiday on the Applecross peninsula. 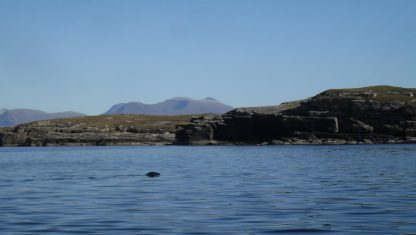 An abundance of small islands and beaches to explore accompanied only by your companions and maybe a couple of seals or, if you are really fortunate an family of otters frolicking by the shore. A trip to Crowlin Islands is a popular outing on a calm summer’s day and if you are lucky you may see dolphin and most certainly seals, and a profusion of birds. If the tide is right you can navigate the channel between the islands. Wester Ross is a magnificent area of Scotland which covers Applecross, Torridon, Achnasheen, and Loch Maree. 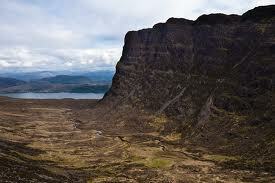 Some of the most isolated mountains can be found in this area of Scotland. As well as having a characteristic craggy beauty, the mountains and lochs here are different to those found elsewhere in Scotland and it is worthwhile for tourists interested only in looking at scenery to travel along the Wester Ross Coastal Trail via places like Kinlochewe, Lochcarron and Torridon. There are some excellent hotels and plenty of B&B's. Torridon is the area to the north of Glen Torridon and from Loch Torridon in the west to Loch Maree at Kinlochewe and the Fisherfield and Letterewe Forests, The Beinn Eighe Nature Reserve is managed by the Scottish Natural Heritage and to the south of Torridon is Applecross and the Ben Damph Forest area. 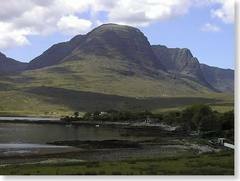 Torridon has some amazing mountains: the Liathach ridge, the Beinn Eighe Nature Reserve, Beinn Alligan and its horns as well as some more seriously remote mountains for the more dedicated walker. Applecross has miles of roads tracks and open spaces for all cyclists to enjoy. Whether you just want to cycle a couple of miles as a family, or you're dedicated tourer, or you're up for an extreme mountain experience, there is plenty of choice. Cycling if probably one of the best ways to experience Applecross's wildlife, scenery and historic sites. Without the noise of a motor vehicle you are much more likely to come across upon nature in progress. With events such as the triathlon & duathlon running each year, it is becoming more popular than ever to bring your bikes or hire them here. 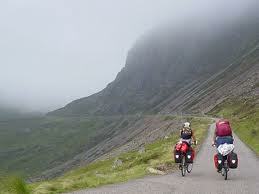 - It is an easier gradient cycling out of Applecross over the Bealach than in. - Keep tightly to the left hand side of the road especially at corners. 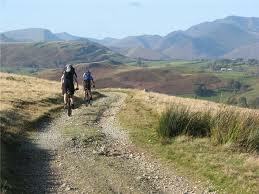 - If you are cycling up a hill allow faster moving traffic to pass you. Frustration can cause accidents. - Take plenty of drinking water. The streams and rivers can have ecoli. - The Bealach is over 620m high and can be cold even in mid summer, so dress accordingly. 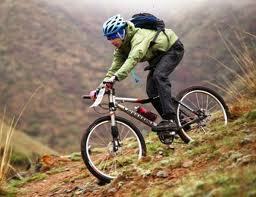 - If you are mountain biking by yourself make sure someone knows what route you're taking and what time you'll be back. - Sugary sweets, water, energy drinks, coffee and filled rolls are available at the Visitor Centre. Potholing is probably one of Applecross's best kept secrets, there are at least 8 locations in the vicinity with a further 13 in the Kishorn area. I'm not going to list them and pass on their locations as some are very delicate. 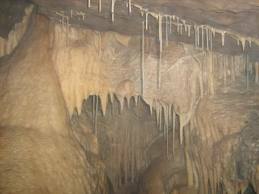 Most of the accesses, exploration and documentation of the cave systems have been done by Grampian Speleological Group and published in a guide called caves of Applecross and Kishorn by Richard Simpson & David Morrison it is available from The Grampian Speleological Group, 8 Scone Gardens, Edinburgh, EH8 &DQ. Below is a news story from 2011 announcing the latest discovery. 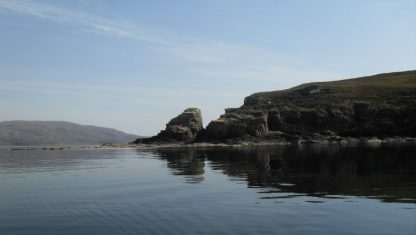 The discovery, dubbed Applecross Cave was found after the cavers enlarged a small entrance enough to explore a water filled passage that eventually led to a number of underground chambers. The cave which is in contention as one of the most beautifully decorated passages in Scotland has stalactites up to 2 meters (6 feet) long. 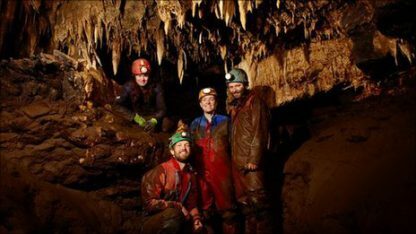 "This is a significant discovery in the context of Scottish caves and I believe we have probably found the 'master-cave' of the area." I'm sure there is no one unwise enough to descend into any of the Applecross potholes without proper training and guides as these caves flood often. In fact most of them are rivers waiting for a storm and a wee bit rain that sometimes falls here on the west coast. Anyone who would like the opportunity to be guided through the systems should in the first instance contact VisitApplecross.com If there is enough interest we will see if it's possible. Experience the fantastic beauty and remarkable shoreline of Loch Torridon and the Hebridean Isle of Rona aboard the Seaflower. 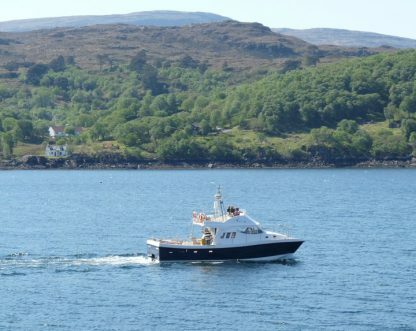 Torridon Sea Tour is a family business ran by Kenny & his daughter Gemma. Kenny who is an experienced seafarer who has fished in those waters for over 30 years and has an abundance of information on the area. 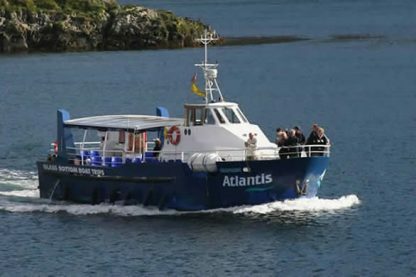 Departing daily from the charming village of Shieldaig, the Seaflower is a newly built luxury catamaran providing a safe and relaxed environment for you to enjoy nature at its very best. 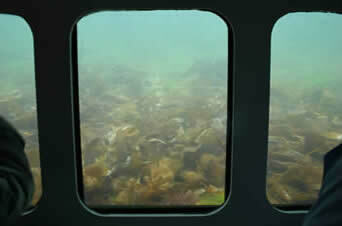 Providing a superb vantage point, the Seaflower will take you to the wave swept outer loch and the protected bays along the inner loch to encounter a varied range of species above and below the surface using the remotely operated underwater camera and custom built fly bridge. Seaprobe Atlantis offers an experience no other boat can match. 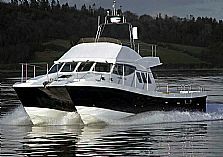 Enjoy all the scenery and wildlife above and below the waves as you cruise in complete safety with the best wildlife guides in Lochalsh. 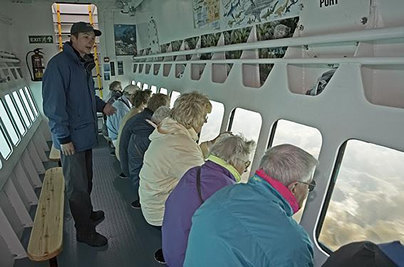 Our huge underwater viewing gallery is easily accessed, with full head-height and seating for 26 people, offering truly astonishing panoramic underwater vision. Explore through kelp forests equal in beauty and sheer diversity to any coral reef. 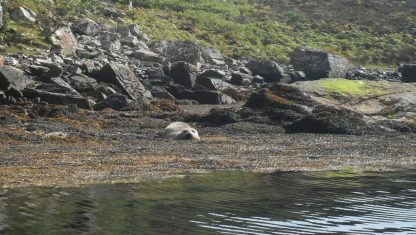 Our award winning glass bottom boat trips all include a visit to the ever-present seal colony at Seal Island. Come in early summer and see the newborn pups, as well as all the young fledgling sea-birds at the protected bird colonies we visit. shipwreck, HMS Port Napier - a 500ft minelayer that sank in 1942 and has been voted one of the best dives in Britain. 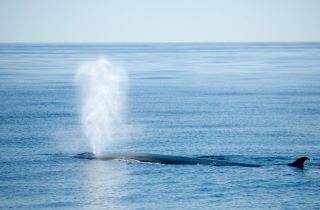 Hear the exciting story of how she met her end, and see the changes that sixty-five years beneath the waves have wrought! 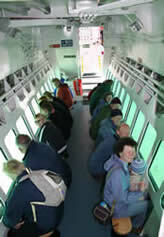 Trips start between 10.00am and 10.30am and continue at regular intervals throughout the day. All shipwreck trips coincide with low tides. Please call to confirm times or check timetables below. Scheduled Times can change on a daily basis due to local operating conditions - it is important to phone us to confirm the timetable, especially if you are travelling a long distance. Phone the freephone 0800 980 4846 to confirm weekly sailing times, our availability, and to reserve seats (highly recommended Easter and July – August). When you arrive in Applecross, drive to the head of the bay where you will see a picnic area. The walk starts by following the road along to the bridge over the river. Before the road bridge, turn right onto the footpath which follows the river upstream signposted 'Beach and River walks'. The path follows beautiful woodland, close to the river. 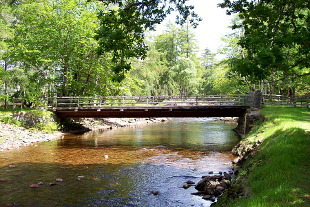 Pass the branch off to the right which leads to Applecross house, and continuing along the riverbank until you reach the Home Bridge and a track, Do not cross the bridge, but cross over the road on to to a smaller track with a sign for 'Roes Walk'. The track becomes a path and moves away from the river, climbing up close to a smaller stream. After about a 1 km, keep an eye out for a path turning off sharply to the right which doubles back. Follow this turning where the path was previously edged by beautiful rhododendrons which have recently have been cut back.The path then passes a wooden lookout tower from which you will see fabulous views across to the Skye and the Cuillins and up the glen. After passing more rhododendrons, you reach a 'T' junction on the track where you should turn right. 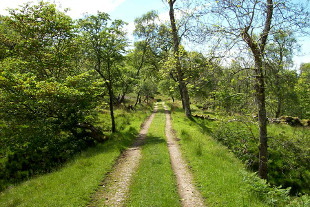 Proceed along past a number of estate buildings, past the cottage drive on the left but turn left beyond this onto a well-walked path which takes you to the rear of Applecross House. The walled garden and the Potting Shed Cafe are both well worth visiting. On exiting from the Walled Garden you should continue along the drive in front of the Big House to the Home Bridge where you can rejoin the woodland path by the river which takes you back to your start point. This has to be one of the best destinations in Europe for a walking holiday. Wester Ross has a vast system of paths available to suit a variety of capabilities from a short, level stroll to a full expedition up and around An Teallach, which has been used as a preparation location for Himalayan climbs. There can be few places that offer easy walking in such a outstanding environment as the Western Highlands. Although the scenery is wild and rugged, there are plenty of gentle walks in glens, through forests and by the sea. High mountains, rapid rivers, glistening lochs and commanding islands provide striking backdrops for these walks. 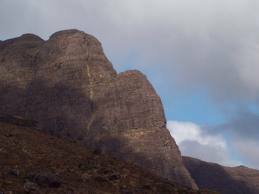 There are an abundance of beautiful walks in and around Applecross; there are varying grades of walks so there is something for everyone, even some Munro bagging on the Torridon Mountains if you wish. People are attracted by the fact that it is generally quiet here even at the height of summer, and it is often possible to have a day’s walking without meeting anybody on the hill. On the down side you must be aware of the potential dangers. Unlike several walking destinations abroad, there are very few signs or markers on any of the hills. Paths are often narrow and only a single person can walk at any one time, and there are rivers and streams to cross without the advantage of bridges. Most importantly of all, the weather can change very rapidly indeed Sunshine in the morning, then rain, high winds, and dramatic changes in temperature by evening are not at all unusual. It is wise please make sure you are mindful of the weather forecast for the day. 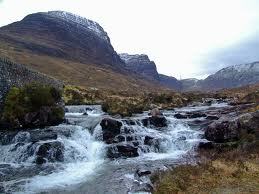 We offer guided walk around the Applecross area contact us for more information. These lochs offer varying degrees of accessibility. An Ordnance Survey Map ( available from the Visitor Centre) will be required to locate the most suitable. There are many location suitable for shore fishing, the most successful being Toscaig Pier especially in summer when the shoals of Mackerel make their way round the coast line. Care must be taken as the water is very deep at the pier and children particularly will need careful supervision. Sea fishing- if fortunate enough to have a boat, there is the possibility of trawling for pollock or putting down long lines for cod. Mackerel fishing is usually very successful in season.